The President pro tempore ( or ), also president pro tem, is the second-highest-ranking official of the United States Senate. According to the United States Constitution, the Vice President of the United States is the President of the Senate, despite not being a senator, and the Senate must choose a president pro tempore. Since 1890, the most senior senator in the majority party has generally been chosen to be president pro tempore; this tradition has been observed without interruption since 1949. During the Vice President's absence, the president pro tempore is empowered to preside over Senate sessions. In practice, neither the Vice President nor the President pro tempore usually presides; instead, the duty of presiding officer is rotated among junior senators of the majority party to give them experience in parliamentary procedure. The president pro tempore is third in the line of succession to the presidency, after the Vice President and the Speaker of the House of Representatives. Following the death of Daniel Inouye on December 17, 2012, Patrick Leahy, a Democrat and senior senator from Vermont, was elected to the position by unanimous consent. With the conclusion of the 2014 mid-term elections the Republican party gained a majority in the Senate of the 114th Congress. With this coming transition, Orrin Hatch, a Republican and senior senator from Utah, is expected to be elected the new president pro tempore by the Senate, in January 2015. Although the position is in some ways analogous to the Speaker of the House of Representatives, the powers of the president pro tempore are far more limited. In the Senate, most power rests with party leaders and individual senators, but as the chamber's presiding officer, the president pro tempore is authorized to perform certain duties in the absence of the Vice President, including ruling on points of order. Additionally, under the 25th Amendment to the Constitution, the president pro tempore and the speaker are the two authorities to whom declarations must be transmitted that the president is unable to perform the duties of the office, or is able to resume doing so. The president pro tempore is third in the line of presidential succession, following the vice president and the speaker. Additional duties include appointment of various congressional officers, certain commissions, advisory boards, and committees and joint supervision of the congressional page school. The president pro tempore is the designated legal recipient of various reports to the Senate, including War Powers Act reports under which he or she, jointly with the speaker, may have the president call Congress back into session. The officeholder is an ex officio member of various boards and commissions. With the secretary and sergeant at arms, the president pro tempore maintains order in Senate portions of the Capitol and Senate buildings. Benjamin Wade came within one vote of being the first president pro tempore to succeed to the presidency after the impeachment trial of Andrew Johnson in 1868. The office of president pro tempore was established by the Constitution of the United States in 1789. The first president pro tempore, John Langdon, was elected on April 6 the same year. Originally, the president pro tempore was appointed on an intermittent basis when the vice president was not present to preside over the Senate. Until the 1960s, it was common practice for the vice president to preside over daily Senate sessions, so the president pro tempore rarely presided unless the vice presidency became vacant. Until 1891, the president pro tempore only served until the return of the vice president to the chair or the adjournment of a session of Congress. Between 1792 and 1886, the president pro tempore was second in the line of presidential succession following the vice president and preceding the speaker. When President Andrew Johnson, who had no vice president, was impeached and tried in 1868, Senate President pro tempore Benjamin Franklin Wade was next in line to the presidency. Wade's radicalism is thought by many historians to be a major reason why the Senate, which did not want to see Wade in the White House, acquitted Johnson. The president pro tempore and the speaker were removed from the line of succession in 1886, but were restored in 1947. This time however the president pro tempore followed the speaker. Following the resignation (for health reasons) of President pro tempore William P. Frye, a Senate divided among progressive Republicans, conservative Republicans, and Democrats reached a compromise by which each of their candidates would rotate holding the office from 1911 to 1913 (see below, #1911 – present). Only three former presidents pro tempore ever became vice president: John Tyler, William R. King and Charles Curtis. Tyler is also the only one to have become president, when he succeeded William Henry Harrison in 1841. While the president pro tempore does have other official duties, the holders of the office have, like the vice president, over time ceased presiding over the Senate on a daily basis, owing to the mundane and ceremonial nature of the position. Furthermore, as the president pro tempore is now usually the most senior senator of the majority party, he or she most likely also chairs a major Senate committee and has other significant demands on his or her time. Therefore, the president pro tempore has less time now than in the past to preside daily over the Senate. Instead, junior senators from the majority party are designated acting president pro tempore to preside over the Senate. This allows junior senators to learn proper parliamentary procedure. 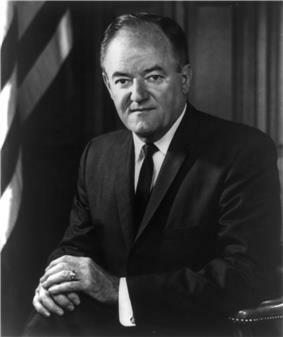 The ceremonial post of Deputy President pro tempore was created for Hubert Humphrey, a former vice president, in 1977 following his losing bid to become the Senate majority leader. The Senate resolution creating the position stated that any former president or former vice president serving in the Senate would be entitled to this position, though none has served since Humphrey's death in 1978, and former vice president Walter Mondale, who sought his former Senate seat in Minnesota in 2002, is the only one to have tried. 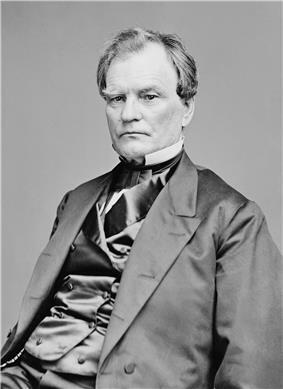 Andrew Johnson is the only former president to have subsequently served in the Senate. John C. Stennis, similar to Metcalf's earlier designation as Permanent Acting President pro tempore. The office has remained vacant since 1988, and no senator other than Humphrey and Mitchell has held it since its creation. 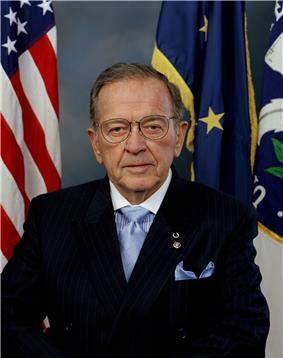 Ted Stevens (R-Alaska), former president pro tempore, and most recent president pro tempore emeritus. Since 2001, the honorary title of president pro tempore emeritus has been given to a Senator of the minority party who has previously served as president pro tempore. The position has been held by Strom Thurmond (R-South Carolina) (2001-2003), Robert Byrd (D-West Virginia) (2003-2007), and Ted Stevens (R-Alaska) (2007-2009). 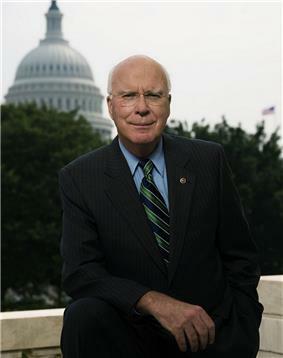 Patrick Leahy (D-Vermont) will be the next Senator to receive this title upon the commencement of the 114th Congress. The salary of the president pro tempore for 2012 was $193,400, equal to that of the majority leaders and minority leaders of both houses of Congress. If there is a vacancy in the office of vice president, then the salary would be the same as that of the vice president, $221,000. Before 1890, the Senate elected a president pro tempore only for the period when the vice president would be absent. Since 1890, the president pro tempore has held office continuously until the election of another president pro tempore. From August 14, 1911 to March 3, 1913, the office of President pro tempore of the United States Senate for the 62nd Congress rotated among five individuals. The sitting Senate President pro tempore William P. Frye resigned due to ill health on April 27, 1911. The Senate at that time was split between progressive Republicans, conservative Republicans, and Democrats. Each put forth a candidate, and the ballots were deadlocked until August when a compromise was reached. Democratic candidate Augustus Bacon served as pro tempore for one day on August 14, 1911, and thereafter he and four Republicans rotated holding the seat for the remainder of the 62nd Congress. No President pro tempore has come from the states of California, Colorado, Florida, Idaho, Minnesota, Montana, New Mexico, Oklahoma, Oregon, South Dakota, or Wyoming. Arthur Vandenberg (1947–1949) was the last president pro tempore not to be the senior member of the majority party, aside from the single day accorded Milton Young (1980), who was the retiring senior member of the party who had been elected to a majority in the incoming congress. ^ "Pro tempore Legal Definition". Lawyers.com. ^ a b "Hillary takes Senate gavel–for an hour". CNN. January 24, 2001. ^ a b Mount, Steve. "Constitutional Topic: Presidential Line of Succession". USConstitution.net. Steve Mount. Retrieved October 19, 2009. ^ Burr, Thomas (November 5, 2014). "Utah’s Sen. Orrin Hatch to be 3rd in line for the presidency". Salt Lake Tribune. Retrieved November 5, 2014. ^ a b c d e f g "Senate President Pro Tempore". congresslink.org. Dirksen Congressional Center. Retrieved October 30, 2009. ^ a b c d e f g h i j Sachs, Richard C. (January 22, 2003). "The President Pro Tempore of the Senate: History and Authority of the Office" (PDF). Congressional Research Service. Retrieved December 9, 2008. ^ a b c Richard E. Berg-Andersson (June 7, 2001). "A Brief History of Congressional Leadership". The Green Papers. Retrieved November 17, 2009. ^ Smith, Gene (1977). High Crimes and Misdemeanors: The Impeachment and Trial of Andrew Johnson. William Morrow & Company. ^ Gold, Martin B.; Gupta, Dimple. "The Constitutional Option to Change Senate Rules and Procedures: A Majoritarian Means to Over Come the Filibuster*". Harvard Journal of Law & Public Policy 28 (1): 211.